TEDWomen leverages the power of the TED platform and brand to showcase ideas from women. There are currently over 100 TEDWomen talks on TED.com that have been viewed more than 150 million times in more than 80 languages. It all started in 2010, when I approached TED's chief curator, Chris Anderson, with the seed of an idea. In talking with Chris, and with the amazing team of women at the TED organization, we came up with the idea for TEDWomen, which we launched in the winter of that year in Washington, D.C.
At that first gathering, more than 130 speakers, more than two-thirds of them women, representing over 30 countries gave TED Talks before an audience of nearly 1,000 women and men. One of the talks that year was from a young woman I'd met at Google. Deeply impressed by Sheryl Sandberg’s energy and her leadership at Google, I invited her to give a TED Talk on women in the technology business. As we worked together on her talk, it became clear to me that Sheryl had some observations about women in the tech industry that seemed more universal as well as more personal. I encouraged her to share the personal story of her experiences as a mother as well as her ideas about what was happening with women in the fast-growing tech sector. The talk she gave became a big sensation. Women responded to the message about being more proactive in their careers and lives, and Sheryl decided to expand the talk into a book. The rest is publishing history, as her book, Lean In, is a bestseller around the world and has inspired a generation of women to adapt many of her ideas and strategies. She credits TEDWomen in the book for having provided her with a platform for the launch of a global movement. 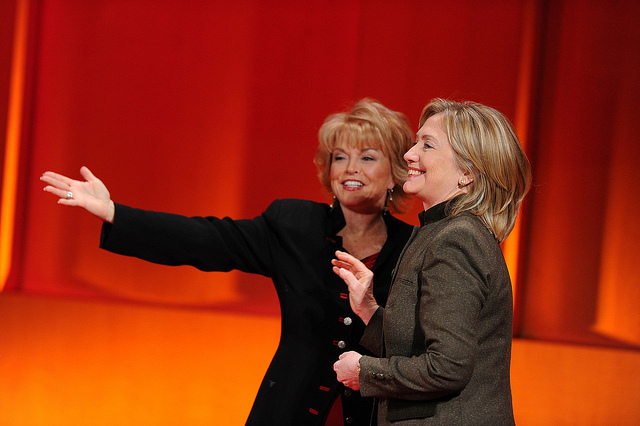 Hillary Clinton also spoke that at the first TEDWomen, giving one of her best speeches on the importance of women and girls, as did Madeline Albright, who also said something in our interview that has been heard and repeated and shared around the world. She said that there is a special place in hell for women who don’t help other women. I agree. That very first year, a very large community of TEDx organizers embraced the idea of a TED conference focused on curating women’s stories, ideas, inventions, and explorations, and they decided to convene simultaneous TEDxWomen conferences. The live feed of TEDWomen went to more than 200 TEDxWomen gatherings, with a lively interchange among the global community over the course of those three days. Every year since, this TEDxWomen community has gotten larger, as there has been a recognition of the importance of the community, the shared learnings, and the focus on finding women speakers and ideas. In addition, compelling men have shared their ideas and work about women’s contributions, both on their own and in partnership with women speakers. It is with great excitement and deep gratitude that I prepare to work with Chris and the TED team again to produce TEDWomen 2017 in November in new Orleans. Sign up for my newsletter to be among the first to hear when tickets are available.